Note: This material was developed to explain Similar School groups as they were developed for prior school report cards. The groupings are substantially the same in definition for the February 2004 School Report Card (for results through the 2002-2003 school year). There were certain enhancements to the algorithm for this latest year that are not yet fully explained in this document. A revised version with a full description of the steps used to identify this year's groups will soon be available. The first question any person interested in education at a local level is likely to ask is "How is this school doing?" After seeing a statistical summary of test results, attendance rate, and so on, the immediate follow-up question is very likely to be, "OK, but what I really want to know is how is this school doing, compared to other schools?" When a statewide average for the various statistics is presented, the response is almost sure to be, "This is interesting, but I know that there are many different schools in the State which face a wide range of problems. What I really meant to ask is, how is this school doing, compared to other similar schools?" Many people are unsure of how to evaluate performance statistics. Without comparison, the numerical values say little about how well the school might be expected to do. In the modern age of high-speed computers, it is relatively straightforward to compare a given statistic to a district-wide and statewide figure, or, for that matter, to an aggregate based on any other grouping of buildings. The task is to develop groupings of schools that allow reasonable comparison based on the challenges facing the particular schools. Our goal is to find a balance between having too many groups with too few schools in each, and too few groups, where schools are less fairly comparable. If the groupings are well selected, the "similar schools" statistics will help everyone to more fairly evaluate a school's performance in the context of other schools' efforts. As with any mechanistically derived comparison value, all comparisons made using "similar schools" should be made in a spirit of inquiry. There are many other factors that can contribute to differences in performance among schools; there may be very good reasons for these differences. Every group average will be higher than some schools in the group and lower than others. Only large differences from the group average involving more than a few pupils' performance are likely to be statistically significant. Any differences from the group values should be explored with concern and interest. They should not be used to make immediate judgements about the school's programs. Readers of the New York State School Report Card may well be reminded that the most similar school is the school itself. This is why three years of performance are presented. The year-to-year self-comparison is a very important part of evaluating school performance. Most people agree that schools serving the same grade range are, in a simple way, similar. The Department classifies school buildings according to their grade level organization as shown in Table 1. To facilitate comparisons, these organization types are grouped into the general categories of elementary, middle, and secondary schools, forming the three major similar categories shown. This table also shows a few small exception groups that fall outside the common conception of public schools. There are a wide variety of different grade level groupings used in schools across New York State. Local school districts have developed different schemes that incorporate local factors such as population density, neighborhood focus, racial integration concerns, economies of scale, and other historical factors. As a result, schools with slightly different grade organizations will likely be compared. Some elementary schools serve only grade levels less than 3. There are no state assessments administered in these grade levels. Some elementary schools serve no grades higher than 3, and may seem somewhat different than other elementary schools with which they are compared. These schools, however, all offer a grade 3 program. Some other elementary schools include grade levels now commonly associated with middle schools, particularly grades 5 through 8. Many junior-senior high schools serve grades 7 and 8. In these cases, similar school performance for those grades is computed for schools of the same general category that serve those grades. The most extreme example of this school organization variation is found in schools that serve all grade levels from kindergarten through grade 12. These K-12 schools are compared to three distinct groups of schools. For K-12 schools, grades K-4 are considered as an elementary school, grades 5-8 are considered as a middle school, and grades 9-12 are considered as a secondary school. In this way, each K-12 school is a member of three different groups. Note: Schools counted in the Alternative and Special Act District rows may appear in other category counts in other Education Department publications. The Annual Report to the Governor and Legislature on the Educational Status of the State's Schools, a legally mandated document, introduced the concept of a need-to-resource-capacity (N/RC) index. This amalgam of demographic data for the school districts combines the best indicator of educational need (school district student poverty) with the financial resources of the school district, district enrollment and district land area, to place districts into six distinctly different categories. Each category is generally accepted as containing a distinct type of district. Each district in a category faces similar challenges, and is able to draw on comparable levels of resources. Districts in different categories are less comparable. These six categories were originally defined in the second half of 1993, based on 1990 federal census data and the most recent State education data then available. For this year's New York State School Report Card, the Department recomputed the N/RC statistics using the most recent available data. A handful of districts showed significant changes in their economic circumstances. As a result, the N/RC index group identification for these districts changed. The N/RC Index categories, and the number of schools from each, are shown in Table 2. Within the need-to-resource-capacity (N/RC) index groups, there is marked variability between schools in the demographics of their students. As found in the development of the N/RC index, of those data available, the single factor most highly correlated with educational need is population poverty. The Department routinely collects counts of children eligible for the federal free lunch program from all public schools. Additional analysis of school performance measures used in the first New York State School Report Card confirmed that the proportion of students with limited English proficiency is also strongly related to school performance. Taken together, these two factors can account for much of the variability in school performance. A regression model of 1995-96 aggregate school performance with these two factors yields an R2 of 0.538. Not all school districts offer federally supported free lunch programs for eligible children. As a result, not all schools reported free-lunch-eligible pupil counts. Because free lunch is an important factor in identifying appropriate school comparisons, the Department estimated these values for these schools. Using the 2000 federal census information about school district school-age poverty rates in combination with the data for schools which did report free lunch eligible pupil counts in 1996, an estimated 1996 free lunch participation was computed for schools without free lunch programs. Using standard statistical procedures, the Department determined the relative impact of the proportion of pupils with free-lunch eligibility and the proportion of pupils with limited English proficiency on school performance in public schools statewide. By combining these two factors in the appropriate ratio, a measure of pupil need was created and used to rank-order schools within the categories defined by grade-range served and school district capabilities. For "similar schools" comparison, the Department places the schools of each category into relatively low (lowest quartile), relatively high (highest quartile), and typical (mid-range) groups based on this pupil need measure. This identifies similar schools across the state without regard for school district boundaries. New York City has identified five groups (quintiles) within each category for use in the Annual School Report. Certain other types of schools serve unique student populations. Because these populations are defined to be high need, these other school categories do not merit the third level of distinction. The disposition of similar school groups is shown in Table 3. 1 Numbers in these cells identify each group for reference purposes. Group numbers were assigned for State processing. K-12 schools are compared with other schools, grade range by grade range, for school-wide measures, they are compared as Group #64. 2 Because of the large number of schools in New York City and the wide range of pupil need found there, New York City's Annual School Report presents similar school group comparison statistics based on quintiles (1/5 of schools in each similar school group). 3 Special schools from districts outside New York City are combined into one group, because IEP mandates determine the level of services provided. There are relatively few schools of this type across the State. 4 Other schools do not fit into grade organizations otherwise identified. Most of these schools are pre-schools. This group also includes some other non-traditional instructional settings. Few of these schools are required to participate in State assessment programs. At first, the many different kinds of "similar school" might seem overly complicated. After looking at the data, however, and after considering the wide diversity of communities and student populations in the State of New York, this set of comparison groups seems to be a very reasonable compromise. It balances the need to consider each school's particular circumstances and the need to evaluate the performance of the school in comparison with schools in other communities. The model presented here encourages reasonable comparisons based on many of the challenges which districts and schools face. A Grade Organization Code is assigned to each public school based on the grade levels that the school serves. This is determined by identifying grade levels for which there is an enrollment greater than zero, as reported to the Department in the fall of each year. The following table describes the criteria used to assign Grade Organization Codes. Middle Schools Schools having any of the following grade organizations: 5-7, 5-8, 6-8. Junior High Schools Schools containing no grades lower than 6 or higher than 9, except for grade 6-8 schools that are classified as middle schools. Junior-Senior High Schools Schools containing any grade organizations which includes both lower and higher than 9, except those which have all grades kindergarten through 12. Senior High Schools Schools having no grade lower than 9. K-12 Schools Schools containing all grades kindergarten through 12. Other Schools Schools which do not fall in any of the prior categories. The N/RC Index categorizes school districts for policy development purposes. It defines a small number of school district groups that clearly identify similar districts and clearly illustrate the empirical relationship among student demographics, resources, and performance. The N/RC Index captures the effect of a multi-dimensional cluster analysis in a way that is more clearly explainable in public forums. The Need-to-Resource-Capacity (N/RC) index is based in the idea that the local success of public education is significantly positively correlated with expenditures in the schools and significantly negatively correlated with the level of poverty found in the school. Combining a measure of resources available in each school district and a measure of district pupil poverty into one statistic is a meaningful shorthand abbreviation. The resulting groupings have two important benefits for State policy purposes; they are easy to explain and they are well supported by statistical research. School districts that spend more locally derived money per pupil tend to have relatively higher levels of pupil performance, and school districts that have a higher proportion of pupils from low-income households tend to have lower levels of pupil performance. School districts across the State of New York are classified by N/RC index as one of the following six types. The N/RC index was originally based on statistics available in the second half of 1993. The N/RC index incorporates 2000 federal census data, public school pupil data, and fiscal data compiled for the Education Department State Aid system. Educational needs measures for N/RC are a combination of data collected about eligibility for free and reduced price lunch programs and federal census data. Because not all districts operate federally supported lunch programs, and because the census poverty data was based on the long (sampled) census form, a mathematical combination of the two statistics was used as the most reliable statistic. In 2003 new N/RC categories were calculated utilizing the percentage of children aged 5 to 17 in poverty from the newly available 2000 Census data. Other data used to create the N/RC categories were the 2000-01 and 2001-02 kindergarten through grade six free-and-reduced-price lunch percentages and the 2000-2001 combined wealth ratio (CWR). In November of 2003 the new N/RC categories were sent to each district in the District Accountability Status report, as well as the above data and underlying needs/resource index. In the new N/RC category calculation the needs/resource index relating to the 20th and 70th percentile changed only slightly from the mid-year N/RC correction calculation. The need index associated with the 20th percentile of values changed from 0.7693 to 0.7706, while that of the 70th percentile changed from 1.1855 to 1.188. 3 All districts at or above the 70th percentile (1.188) that have: 1) at least 100 students per square mile; or 2) an enrollment greater than 2,500 and more than 50 students per square mile. 4 All districts at or above the 70th percentile (1.188) that have: 1) fewer than 50 students per square mile; or 2) fewer than 100 students per square mile and an enrollment of less than 2,500. 6 All districts below the 20th percentile (0.7706) on the index. 7 Each charter school is a district. There were forty-three districts with changes in their N/RC categories from the mid-year N/RC correction. There were twenty districts with an increasing in their N/RC category number, generally indicating a decrease in need, a decrease in the needs/resource index. Likewise, there were twenty-three districts with a decreasing N/RC category number, generally indicating the opposite trend, an increase in need, an increase in the needs/resource index. Only one district had change in N/RC category unrelated to their needs/resource index, a change from high-need urban-suburban to high-need rural, which was caused by a decrease in the number of pupils per square mile. Of the remaining nineteen increases in N/RC category, thirteen represent changes from the rural or urban-suburban high-need/resource districts to average-need/resource districts. The remaining six represent changes in N/RC category from average-need/resource districts to low- need/resource districts. Of the twenty-three districts showing a decrease in N/RC category, sixteen represent a change from an average-need/resource district to a rural or urban-suburban high-need/resource district. The remaining seven districts represent a change in N/RC category from low-need/resource districts to average-need/resource districts. The small net shift of four districts toward the higher need N/RC categories is barely discernable in figure 2. The biggest change is the addition of N/RC category seven, representing the addition of charter schools to the need/resource index calculation. The resource capacity measure for N/RC is the school district Combined Wealth Ratio (CWR). This statistic is computed for school districts that employ more than eight certified teachers. It combines assessed property value and personal income as reported for the district region. The number is then divided by a count of pupils, and compared to a statewide average. Districts with the same value as the State average have a value of 1; districts with low wealth have a value less than 1. A simple statistical procedure converts data into a dimensionless measure of difference, or "z-score." This is the number of standard deviation units from average, and is computed by subtracting the arithmetic mean from a value, and then dividing that difference by a population standard deviation. This computation was performed for both the educational need measure and the resource capacity measure. The goal of the N/RC statistic is a measure of relative ratio of needs to resources. Z-score statistics, however are centered at zero. To avoid the discontinuity that would otherwise be caused by small differences near 0, the value 5 was added to all need z-score and resource z-score values before the ratio of the two was computed. In this way, a district with average needs and average resources has a computed N/RC sorting value of 1.000, and the relative ranking of districts could be assured. Schools at the low end of the range of the resource measure will be more spread out by this statistic than will schools at the high end, but the general rank order will not be significantly affected. Grouping districts using the statistic was the final step. A look at the values of the computed statistic revealed the reasonableness of the computation. New York City computed much different from any other school district. The other big cities in the State (Buffalo, Rochester, Syracuse, and Yonkers) fell into a second natural group. The rest of the districts were then divided according to a rule of thumb, which happily resulted in groupings similar to a parallel statistical cluster analysis. Twenty percent of districts were classified as low N/RC, fifty percent of districts were classified as average N/RC, and thirty percent of districts were classified as high N/RC. This last group was split into two groups based on enrollment and pupils per square mile. High N/RC Districts with fewer than 50 pupils per square mile, or fewer than 100 pupils per square mile and a district enrollment of less than 2,500 were categorized as rural. The remaining districts in the high N/RC pool were categorized as urban or suburban districts. This rural distinction was only made for the high need districts; analysis showed that only in this high need group was there an important difference in performance between these classes of school district. Many schools draw their students from the immediate local communities where families with school-age children reside. As a result, these schools may have different levels of need than other schools, even within the same school district. The New York State School Report Card has refined the definition of school pupil needs to better reflect the challenges faced in the schools. The major factors included are free lunch eligibility rate and limited English proficiency rate. Together these two factors can explain much of the variability between schools in test performance. However, not all districts operate free lunch programs in all schools. For these schools, the Department uses federal census data to estimate free lunch eligibility. This appendix reports more details of the computations used in generating the aggregate pupil needs statistic used to group schools for the New York State School Report Card. Each school reports a count of pupils eligible for the federal Free and Reduced Price Lunch Program. Federal guidelines define household income levels eligible for both free lunch and for reduced price lunch. Approved pupil applications are then counted. These counts are reported for both aid levels in three age categories. The three age categories are Pre-kindergarten (Pre-K), kindergarten through grade 6 (K-6), and grade 7 through grade 12 (7-12). For pupil need computation purposes, free lunch eligible counts for K-6 and 7-12 are combined. A rate is then computed by dividing this sum by school K-12 enrollment. Pre-K enrollment and lunch participation are not included, because of varying program availability for Pre-K programs and Pre-K lunch programs. All data in this computation are currently reported to the Department on the Basic Education Data System (BEDS) Fall School Data Form in October of each year. To more fairly reflect the poverty-associated needs of schools that do not operate a free lunch program, the Department has estimated a free lunch rate based on 2000 federal census data. Additional data was used to refine the computation, including the grade organization of the school (see Appendix A) and the free lunch participation of schools that do operate school lunch programs. By using the 2000 census as the source for the percentage of school-age children in school districts from households below federal poverty level, the relative poverty of pupil populations from different school districts is estimated. A linear relationship between the 2000 school-district-pupil-poverty-rate and the 1996 free-lunch-program-eligibility-rate was modeled for each grade organization. Schools with no reported free lunch participation then were assigned a value computed by multiplying the free lunch factor for their grade organization type by the 2000 census percentage of school-age children in the school district from households below federal poverty level. Limited English proficiency is another demographic factor that has a clear intuitive relationship to success on State tests. Pupils who do not easily speak and read English are at a disadvantage for many English-language-based learning activities, even where alternative language test forms are available in their native tongue. Schools report a count of limited English proficient (LEP) pupils to the Department each October on the Basic Education Data System (BEDS) Fall School Data Form. A rate is computed by dividing the LEP count by the count of all enrolled pupils in the school, from Pre-K through grade 12. We hope it is unnecessary to note that this relationship that appears to exist in the pattern of testing results in no way justifies any reduction of effort in schools with many students from homes with low incomes. Rather, this striking pattern suggests a serious need for further attention to this situation. This combined school pupil needs measure in turn is used to group schools into relatively low, typical, and relatively high need groups. The weighting may not match some expectations, but it is borne out by the reported experience of schools across the State. With new rules in effect for exemption of limited English proficient pupils from State tests, the relative importance of these factors may change. Future years will likely see further refinement of this model. It may help to see how the school pupil needs measure works with a fictional example. For the sake of explanation, imagine two city elementary schools. School One has a free lunch participation rate of 60%, but has no limited English proficient pupils. School Two has a free lunch participation rate of 50%, and 40% of pupils have limited English proficiency. Pupil need for School One is 2.375 * 60 or 142.5. Pupil need for School Two is 40 + (2.375 * 50) or 158.75. Thus School Two has higher educational needs, even though it has a lower poverty rate. The model used to identify Similar Schools groups for the February 2004 New York State School Report Card continues the Similar Schools identification model used for February 1998. The presentation of the groupings is expanded to clarify the mechanism used to compare K-12 schools. The following sections detail certain aspects of the Similar School groups that merit further attention. 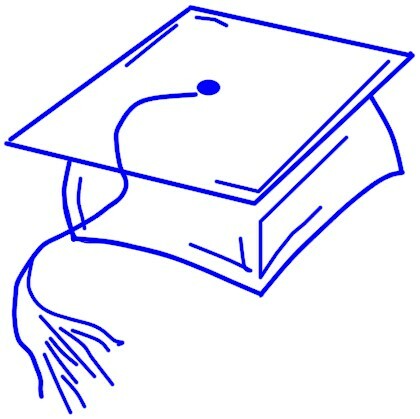 * Further information on the Graduation Cohort Outcomes is available from the New York State School Report Card Database. Schools are assigned to groups based on district and school-wide factors. A school is commonly in the same group for all measures. The next two sections explain exceptions to this rule. Schools that serve students from Kindergarten through Grade 12 are scattered throughout the State of New York, and may be found in small school districts of varying levels of resources and student needs. To help these communities in assessing the performance of their school, these K-12 schools are treated as members of four different groups. The most appropriate comparison group is chosen for each measure. For school wide measures that vary significantly by age of student, like attendance rate and suspension rate, these schools are compared with other K-12 schools. When comparing results on State tests, the K-12 schools are compared according to the grade level associated with the test. State tests administered in grade 4 are elementary level tests. State tests administered in Grades 5-8 are middle level tests. State tests administered in grades 9-12 are secondary level tests. For K-12 schools, all Regents examinations are considered to be secondary level tests, even though some middle level students may participate in an accelerated Regents program. In the listing of similar school groups, all K-12 schools are categorized as Group 64. In that listing one may identify the associated group for the several educational measure levels. Student needs occur in a continuous range in schools across New York State. Similar Schools groups cluster schools based on student needs, but differences in student needs within a group remain. In many cases schools near the line separating groups will be closer to schools in the neighboring group than they are to schools at the opposite extreme within their own group. This is an unavoidable consequence of grouping. However, the schools within each group are more similar to each other than they are to the broad range of schools as a whole. In an attempt to help readers assess the impact of within-group variation of the need statistic, the student need statistic is included in the listing of schools in each similar group. The Student Needs statistic will fall somewhere in the range between 0 to 337.5. When reviewing the student need statistic, consider that the largest single factor involved is Free Lunch Participation Rate. Students are eligible for Free Lunch if they come from a household with an income level below the federal poverty level. If you divide the student needs statistic by 237.5, that will approximate the percentage of students in the school coming from low-income households. This rule of thumb will overestimate poverty for schools with large numbers of limited English proficient students, but it may help in visualizing the comparable circumstances of a school. The Education Department considered several different options in dividing schools into groups based on this need statistic. The option used, separating the high and low quartiles from the center half of the N/RC and grade level grouped schools, yielded the highest eta-squared statistic. In other words, this model explained the greatest proportion of variation in this need statistic among schools of any model tried. Other models included separation based on proportion of the range of need within N/RC group and grade level and separation based on standard deviation units from N/RC group and grade level mean. Similar Group identification is made for each annual edition of the New York State School Report Card based on the most recent available information at that time. Within each annual edition of the School Report Card, results for three years of measurements are presented. For each edition of the New York State School Report Card, all three years of Similar Group comparison values for each measure are based on the performance of the same group of schools. In this way, the reader may assess trends for the school and for the group as a whole. Comparison with prior year editions of the New York State School Report Card will likely show somewhat different Similar Group comparison numbers. Each year, the needs of a school may change in relation to other schools from comparable school districts, resulting in changes of group membership. These group differences from edition to edition may be more noticeable for groups that have smaller numbers of member schools. In the February 2004 New York State School Report Card, the allocation of schools to the relative need groupings is based on Free Lunch program and Limited English Proficiency statistics reported in October 2001. The determination of school grade organization is based on school grade level enrollments also reported in October 2001. The school district grouping variable, Need to Resource Capacity Index, was recomputed in 1998, based on 1995 Combined Wealth Ratio and District Free and Reduced Price Lunch participation in the K-6 grade range for October 1995. Projections based on 2000 Federal census data are used in all student need statistics where lunch program data is otherwise missing. Free Lunch program participation is an important factor in identifying the needs of students in schools. Some school districts do not offer a Free Lunch program, yet do serve significant numbers of students from low-income households. To more fairly assess the student needs in these schools, the Education Department used 1990 Federal census school district poverty level data and the experience of Free Lunch programs across the State to estimate an expected Free Lunch program participation rate for all schools reporting no Free Lunch participation. For schools in low poverty communities, this may over-estimate poverty, while schools in high poverty areas may have their needs underestimated. To distinguish between these two types of schools, and thus more accurately and fairly report school comparisons, the Department now asks schools to report the existence of a Free Lunch program along with the count of students participating in such a program. This additional information was first requested in October 1998 for school year 1998-99. Also, the structural problem of using a district wide average for all schools when there may be significant differences between schools in the same district is a continuing source of imprecision in this model. As always, these comparison numbers should be considered as a guide to inquiry rather than a standard for final judgments.